HTC Desire C and Motorola Defy Mini XT321 both present using different versions of Android. HTC Desire C already uses Android OS 4.0 Ice Cream Sandwich, while Motorola Defy Mini using OS Android 2.3 Gingerbread. HTC Desire C and Motorola Defy Mini XT321 are both powered by a 600MHz processor and 512MB of RAM. HTC Desire C has an internal memory capacity is much larger with the size of 4GB, while Motorola Defy Mini has a capacity of 512MB ROM. Both come equipped with a microSD slot up to 32GB. HTC Desire C has a touch screen with a larger size that is large 3.5-inch with 320 x 480 pixels (165ppi), while Motorola Defy Mini has a 3.2-inch touchscreen with a resolution of 320 x 480 (180ppi). But Motorola Defy Mini screen is tougher because it is coated with Corning Gorilla Glass. HTC Desire C equipped with a 5-megapixel main camera, while Motorola Defy Mini comes with a 3 megapixel camera. Motorola Defy Mini is also equipped with a VGA front camera, while the HTC Desire C is equipped with front camera. Motorola Defy Mini Android smartphone is a GSM Dual SIM GSM, HTC Desire C while only relying on one SIM card slot. For other connectivity features both equipped with features like: support for HSDPA networks, Wi-Fi with Wi-Fi hotspot, Bluetooth, GPS, and microUSB port. As for the power, the Motorola Defy Mini comes with a battery capacity of 1650mAh, while the HTC Desire C equipped with a battery capacity of 1230mAh. 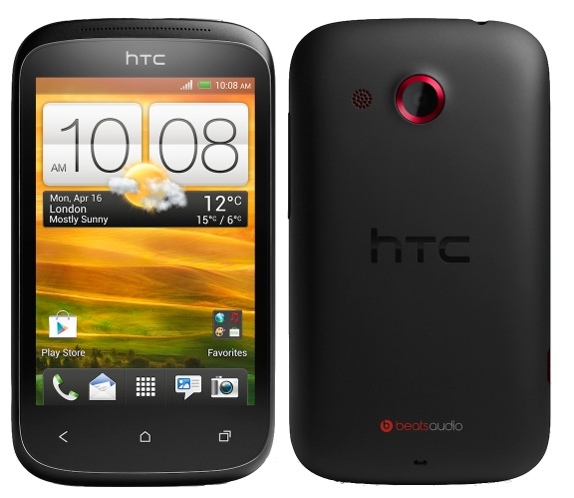 HTC Desire C present a smartphone using the Android 4.0 Ice Cream Sandwich with support for 600MHz processor and 512MB RAM. HTC Desire C has features just as the screen size 3.5 inches with HVGA resolution, 512MB RAM, 4GB internal memory, microSD slot up to 32GB, 3G HSDPA, Bluetooth 4.0, Wi-Fi, and battery capacity of 1230mAh. Motorola Defy Mini is a mini version of the popular Motorola Defy. Motorola Defy Mini uses a 3.2-inch HVGA screen is coated with this smartphone Gorillas Glass and anti against water and dust. 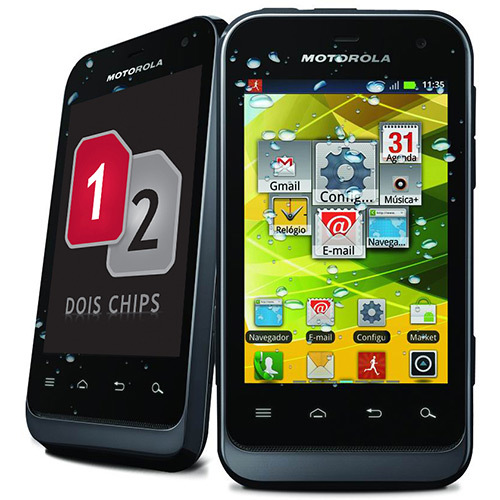 Motorola Defy Mini present use Android 2.3.6, powered by a 600MHz processor and 512MB of RAM. Motorola Defy Mini is equipped with other features such as 512MB ROM, 3.2 megapixel camera, front VGA camera, FM radio, HSDPA network support, Wi-Fi b / g / n, Bluetooth 2.1, GPS, microSD slot up to 32GB, and battery a capacity of 1650mAh.